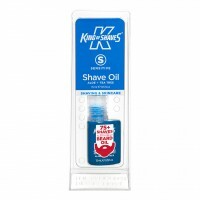 Amazing razor glide and shaving performance from this concentrated Shave Serum that gives up to 60 shaves from just one compact bottle (that still has space for a burst of supercooling menthol)! Leaves skin smooth and supple with no irritation or razor rash. 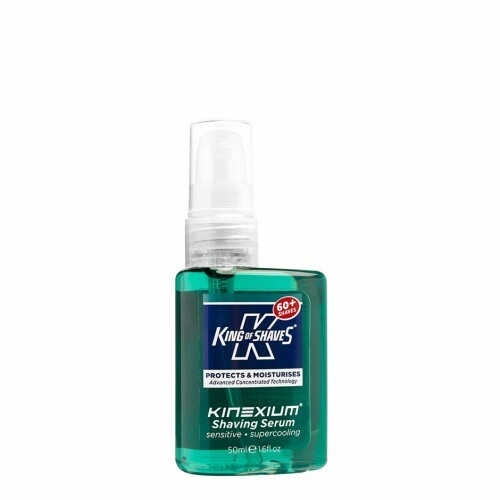 King of Shaves Advanced Shave Serum with SuperCooling Menthol is formulated to give you around 60 superbly close and comfortable shaves. Our Shave Serum is a hybrid product that takes the best things from a shave gel and the best things from a shave oil, so you end up with a concentrated shave gel that has the amazing glide and slip characteristics of a shave oil. It delivers enhanced razor glide and excellent blade performance leaving your skin incredibly smooth, supple and hydrated, not dry and tight. 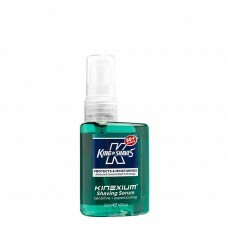 Formulated with refreshing Menthol for a SuperCooling feel. For the ultimate shave, partner with a King of Shaves System Razor. Hydrogenated polyisobutene, Isopropyl myristate, Simmondsia chinensis (Jojoba) seed oil, Butylene / ethylene / styrene copolymer, Ethylene / propylene / styrene copolymer, Laureth-4, Eucalyptus globulus leaf oil, Mentha viridis (Spearmint) leaf oil, Vitis vinifera (Grape) seed oil, Melaleuca alternifolia (Tea tree) leaf oil, Cinnamomum camphora (Camphor) bark oil, Tocopheryl acetate, Menthol, Lecithin, Glycerin, BHT, Limonene, CI 61565 (Green 6), CI 47000 (Yellow 11), CI 60725 (Violet 2).